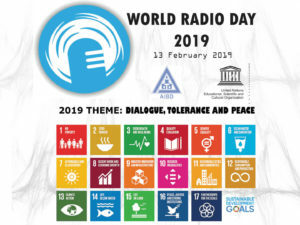 •13 February is celebrated as World Radio Day by UNESCO all over the world. The theme of WRD 2019 is “Dialogue, Tolerance and Peace”. •This day marks a time where people around the world celebrate the radio and how it shapes our lives. Radio informs, transforms and unites us. It brings together people and communities from all backgrounds to foster positive dialogue for change. 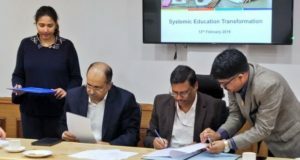 •The NITI Aayog and the Michael & Susan Dell Foundation (MSDF) signed a Statement of Intent (SOI) to codify, document and share best practices to improve learning outcomes in public school education through systemic reforms, based on their collective experiences of working with various state governments in India. •The SOI was signed in the presence of Mr. Amitabh Kant, CEO, NITI Aayog, by Mr. Alok Kumar, Adviser (HRD), NITI Aayog and Mr. Barun Mohanty, Managing Director (International), MSDF. 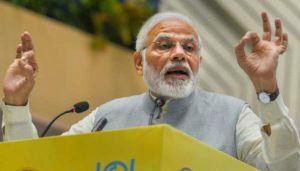 The NITI Aayog was established with the core mandate of promoting cooperative and competitive federalism through evidence-based policy reform and knowledge inputs. ng sustainable education systems. •The First Annual Conference of Media Units working under I&B Ministry was organized at Vigyan Bhawan, New Delhi. 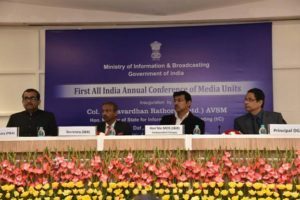 Union Minister of State (IC) for Information & Broadcasting and Youth Affairs & Sports Col. Rajyavardhan Rathore chaired the Conference. The focus of the Conference was on ensuring synergy between the Media Units in their day to day functioning. 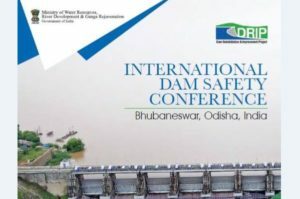 •The 5th International Dam Safety Conference–2019 is being held in Bhubaneswar as a joint initiative of the Government of India, Government of Odisha and the World Bank under aegis of the ongoing World Bank assisted Dam Rehabilitation and Improvement Project (DRIP) as a part of institutional strengthening. •Dam Safety Conferences are being organized as an annual event in different DRIP States in collaboration with the Implementing Agencies and leading academic institutes to provide a common platform for all stakeholders including non-DRIP States. 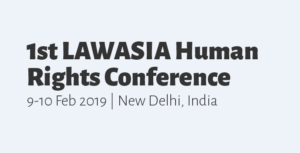 •LAWASIA, in association with the Bar Association of India, hosted its 1st LAWASIA Human Rights Conference in New Delhi with a motive to explore a broad range of human rights issues of relevance in the Asia Pacific region. •This theme of the conference was “State Power, Business and Human Rights: Contemporary Challenges”. It provides the opportunity for lawyers and associated professional members to exchange insights and expertise on topics of significance. 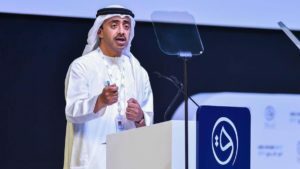 •The seventh session of the World Government Summit held in Dubai, United Arab Emirates (UAE). More than 4,000 people from 140 countries participated in the event. •The main objective of the summit is to shape the future generation of governments,by bringing the public and private sectors together to collaborate with world-renowned experts, it seeks to help create a positive impact for citizens worldwide.